The Omnipure L5515 is a granular activated carbon filter sized at 10 x 2-1/2 inches and is equivalent to the L10HMLC filter. Simply replace this filter once every 1250 gallons or 6-12 months whichever comes first. Made right here in the U.S.A, the Omnipure L5515 is certified by NSF standard 42 and 53. You can use this filter for counter-top systems, reverse osmosis, refrigerators, drinking fountains, and beverage systems. You can use this L series filter on a variety of filter heads such as B, C, J and LNVH. 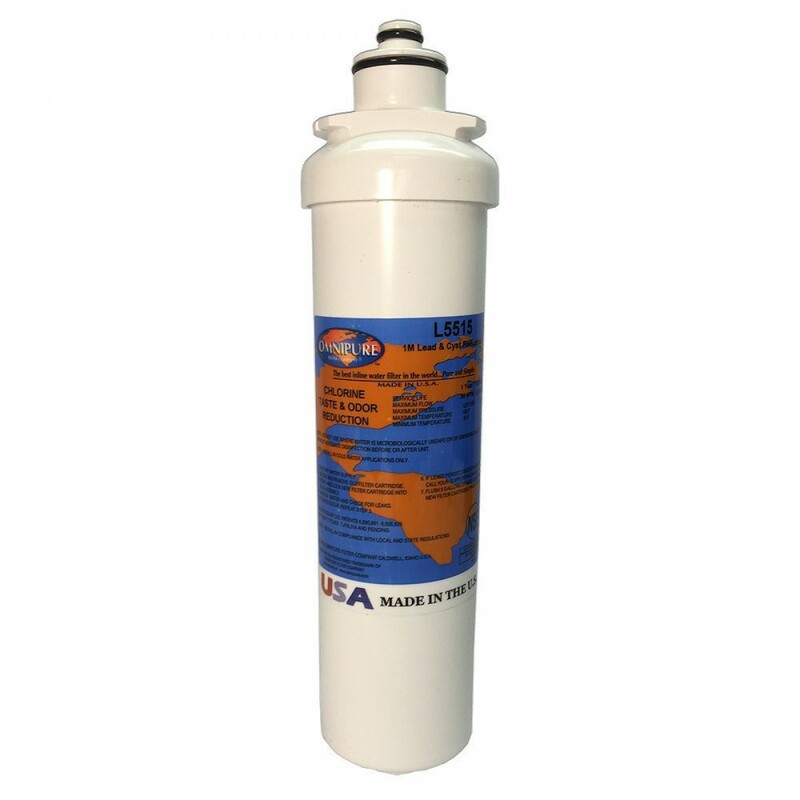 Order this L series filter today!